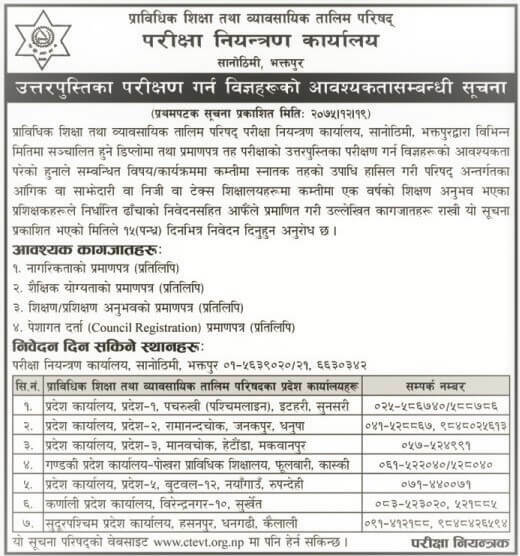 CTEVT, Sanothimi, Bhaktapur published vacancies for Answer Sheet Examiners for Diploma and Certificate Levels. Qualifies and interested Nepali candidates may apply for the vacancies within 15 days from the notice published. [CLICK HERE] or read notice below. Application deadline: Baisakh 3, 2075.